It’s one of the moves planned by National should it retain power after Saturday. Education spokesperson Anne Tolley released her extensive education policy today which covers everything from plans for a new funding structure for the early childcare sector to clamping down further on people who take out student loans. Schools know that because the Standards are so flawed, the level of moderation is so inconsistent, and implementation is so varied around the country, any student achievement data based on them is completely unreliable. It is unfair and dangerous for ‘National Standards’ to be used to compare and judge school performance, let alone as an accountability measure”. “More measuring doesn’t make the pig fatter and National’s policy will simply increase the bureaucracy in education without adding value to the people who matter – children. Education Minister Anne Tolley today signed an agreement with Libya’s Secretary for Education and Science Research, Dr Abdulkabir Fakhry, making New Zealand one of only five countries eligible to receive Libyan government scholarship students. The agreement outlined the basis for New Zealand’s engagement with Libya over the next five years in the educational and scientific fields in both compulsory and tertiary education sectors. Mrs Tolley said many New Zealand education providers saw big potential in increasing engagement with Libya. Conservative estimates were that New Zealand stood to get over 300 students a year in fully-funded scholarships worth up to $30m, she said. The New Zealand government is not commenting on whether it will honour a $ 150 million education and science deal it signed with Colonel Muammar Gaddafi’s Libyan government late last year. 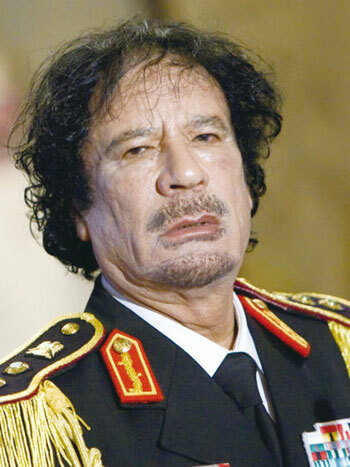 … Repeated questions put to Tolley this week by The United Press relating to whether the government will honour the agreement or if it regrets its decision to support Gaddafi’s regime went unanswered. I wonder if she has anything to say about it now (and I wonder why the NZ media have left it up to the United Chinese Press to ask). 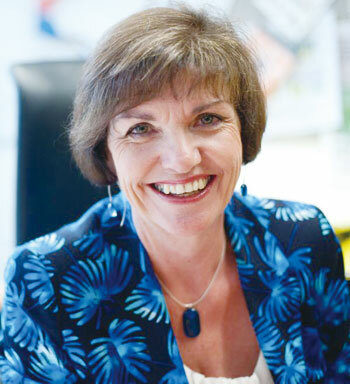 Education Minister Anne Tolley finds herself demoted to the backbenches in a shock Cabinet reshuffle announced by Prime Minister John Key today. Tolley will be replaced by Merv Wellington, who previously served as Minister of Education in Sir Robert Muldoon’s Cabinet between 1978 and 1984. Wellington, plucked from backbench obscurity by Sir Robert, was a controversial figure in the 1978-84 government, presiding over substantial and wide-ranging cuts in education spending and decreeing that the New Zealand flag was to be flown at all school assemblies. He died in 2003. “Anne has been a hardworking and competent Minister, said Mr Key, announcing the reshuffle. I am confident she will find something to do as a backbencher where her talents will be appreciated. The Prime Minister said he was relaxed about the constitutional precedent of appointing a deceased Member of Parliament to Cabinet. “Our Constitution is always evolving. The previous Government appointed Jeanette Fitzsimons and Sue Bradford as Government spokespeople outside Cabinet even though the Greens were not a part of that Government. I don’t think appointing the late Merv Wellington to Cabinet sets any greater constitutional precedent than that did,” he said. The late Merv Wellington was unavailable for comment, but a spokesperson said he was delighted with the opportunity to return to Cabinet to complete his unfinished business. Tolley was born happy. She had a mother and father, and they had lots and lots of money. They loved each other, and they had lots and lots and lots of money. Tolley was warm and cozy in whichever of her many houses she chose to live in. What more could she want? Tolley loved the simple things in life. She loved to ride in helicopters. When she had an itch on her back, all Tolley would want was someone to scratch her back for her. She never wanted to be someplace other than up in a helicopter. Tolley was never bothered with the problems workers have because she had lots and lots and lots of money. When she looked in a mirror all she saw was what she was. Tolley fell in love with money and power and became a National Party MP. She was the most perfect and happy Tolley when the nice Mr Key made her Minister of Education. She could ride in helicopters whenever she chose. She could cut Enviroschools and community education classes and school staffing levels and freeze wages and draw up league tables and read children’s stories to teachers. She was the most perfect and happy Tolley. She could ride in helicopters whenever she chose and the nice Mr Key would still be relaxed. Sadly enough, the political life of a Minister of Education is short, and especially so when she is thick and incompetent. Can I have one with a moat please? Well, seems it’s not just Bill English rorting the system. The NZ Herald reports a number of Cabinet Ministers own residential property in Wellington, most of which are rented out, but choose to live in Ministerial homes. I don’t begrudge Ministers the opportunity to move their families to Wellington so they can spend more time with them, and a small apartment may not provide adequately for that. But renting out their own properties in Wellington, while the taxpayer is paying for the full cost of their Ministerial homes, is scamming it. Even though it is within the rules, surely Ministers should have exercised the restraint they are expect from the citizens they govern and offered to offset the rent they receive from their own properties against the costs of the Ministerial homes they occupy. Tim Groser: Ministerial Services paid $8937 January-June. Also owns $540,000 apartment in central Wellington, which is being used as an investment property. Tariana Turia: Lives in a Ministerial home. Also own $520,000 property in Wellington suburb of Broadmeadows [surely that would be suitable for her family to live in]. Refuses to say if she rents it out. Phil Heatley: Ministerial Services paid $24,607 January-June. Also owns $360,000 Wellington apartment that is being rented out. Anne Tolley: Ministerial Services paid $22,045 January-June. Also owns $295,000 one-bedroom Wellington apartment, which is currently rented out. Wayne Mapp: Ministerial Services paid $18,878 January-June. Also owns $285,000 Wellington apartment and rents it out. Murray McCully: Ministerial Services paid $12,865 January-June. Owns a Wellington flat and rents it out. Then, of course, there is Bill English, who is in a category of his own, receiving $23,673 from Ministerial Services between January and June this year to live with his wife and family in their own home. Perhaps they should consider following this precedent – its not too late to pay back the money they have scammed. One of the areas that got battered the most by the budget was adult and community education. Throughout the election campaign the National Party signalled it’s dislike for any kind of education that was not either literacy and numeracy or jobs training. (Although, ironically funding to those areas got cut as well). More than 200.000 New Zealanders enrol in adult and community education (ACE) courses each year, most of which will not be offered from 2010. This is because of the 80 percent cut in funding our new and not-at-all-improved National government has announced in their latest budget. The Tertiary Education Union covers the dismissive attitude the minister of education, Anne Tolley, has for adult and community education, or, as she calls it, “hobby courses”. So much for hobby courses. Not that there’s anything so wrong with hobby courses that they need to be wiped from the face of the country. But, even if that were the aim, an eighty percent cut is hardly a very surgical way of making sure you only get the hobby courses and not other important adult education. Two hundred co-ordinators and two hundred tutors will lose vital part time jobs in this “reform” which will no doubt be justified by the Govt as necessary in the recession. If the Government had a vision of sustaining communities through hard times they wouldn’t cut these programmes. Since then the Community Learning Association through Schools (CLASS) has set up a stop the cuts campaign page with a petition and postcard you can sign.